This post is sponsored by Walmart Photo; all opinions are mine alone. Around this time of year, I start to keep my eye out for holiday gifts that are meaningful to give, yet convenient for me to order. 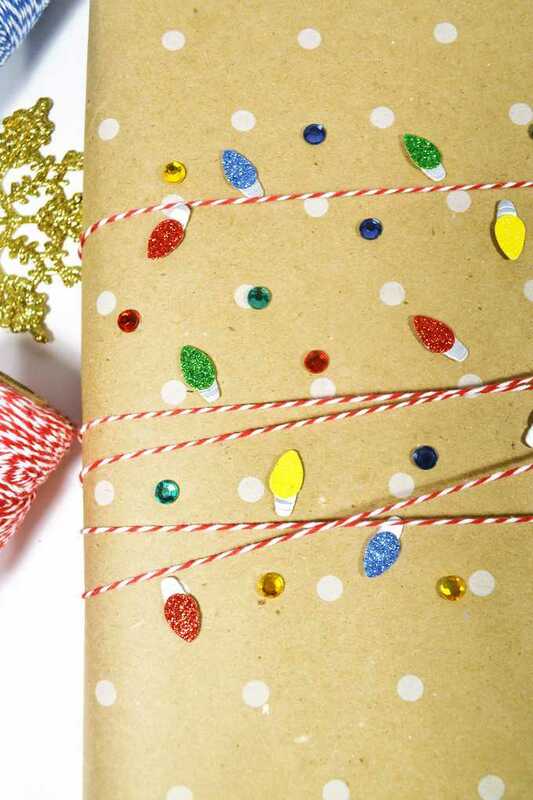 When I can decrease the stress and time involved in creating a special gift, I can then put my energies and time towards one of my favorite parts of gift-giving–wrapping! Holiday gift wrap ideas don’t have to be expensive or time-consuming, and, today, I’m sharing some of my favorites! But, first, a stop at Walmart Photo to order one of my favorite holiday gifts to give-photo canvases. You can either order online, or stop by one of 3500 Walmart Photo locations nationwide. Many of the gifts are also available for same-day pickup–which I love. I ordered this particular canvas early afternoon, and it was available for pickup the very same evening! 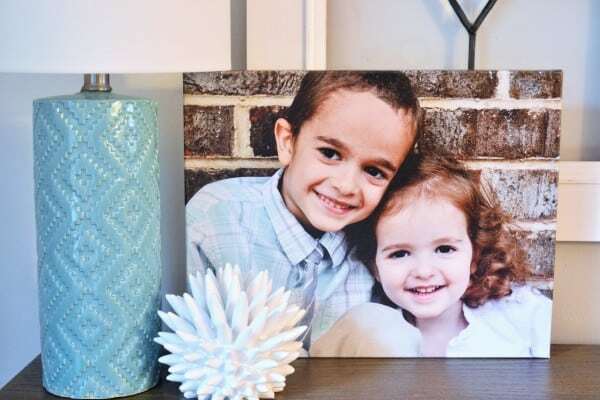 Even better, Walmart Photo Canvases are currently on Rollback (11×14 for $24.96 and 16×20 for $34.96)! 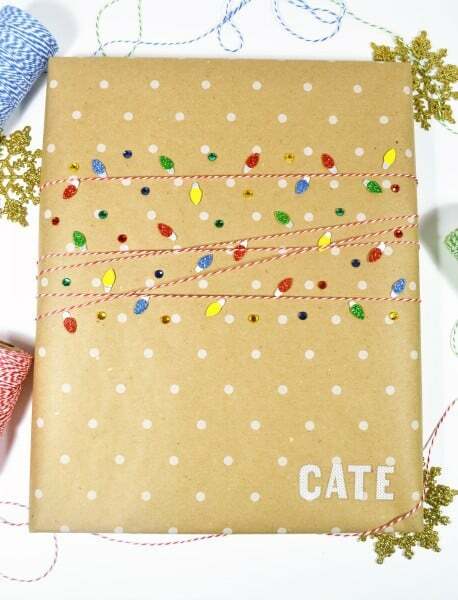 I’ve created a version of Holiday Lights gift wrap in the past, but this year, I took it up a notch by using glittered light stickers, bakers twine, and adding a name at the bottom of the gift. The light stickers can easily be found at any craft store, or you could use gold star stickers for another fun look! 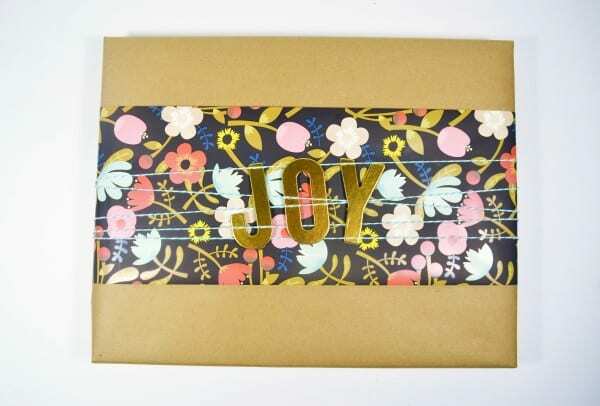 I LOVE this floral wrapping paper, and added a strip over plain craft paper, along with foil letters spelling out “JOY.” Fold under and crease both sides of the paper for a more finished look before securing to your gift. This last holiday gift wrap idea may be my favorite! These glittered snowflakes are everywhere this time of year, and come in several color options! I added a length of red and white polka dot paper, covered with red and white bakers twine and simply secured the snowflakes underneath the twine. The snowflakes can be reused as tree decorations when the gift is unwrapped. I had so much fun coming up with these easy holiday gift wrap ideas. 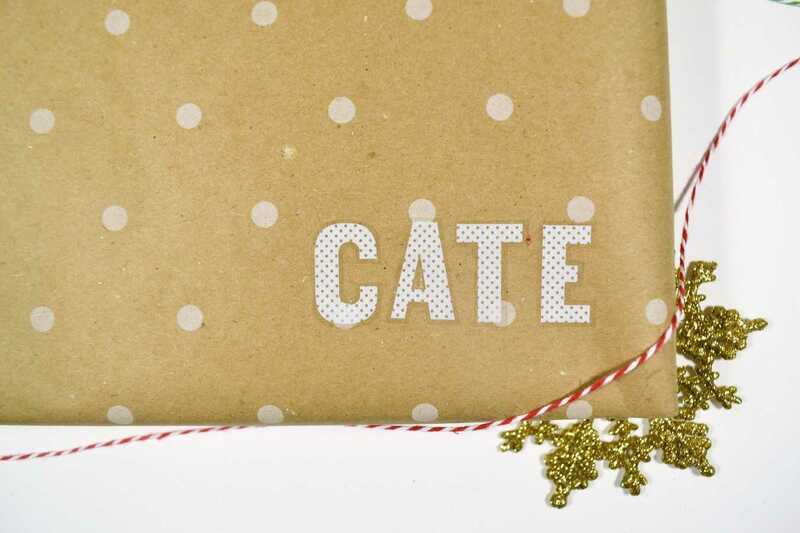 I always enjoy taking random gift wrapping elements and combining them into something creative and cute! 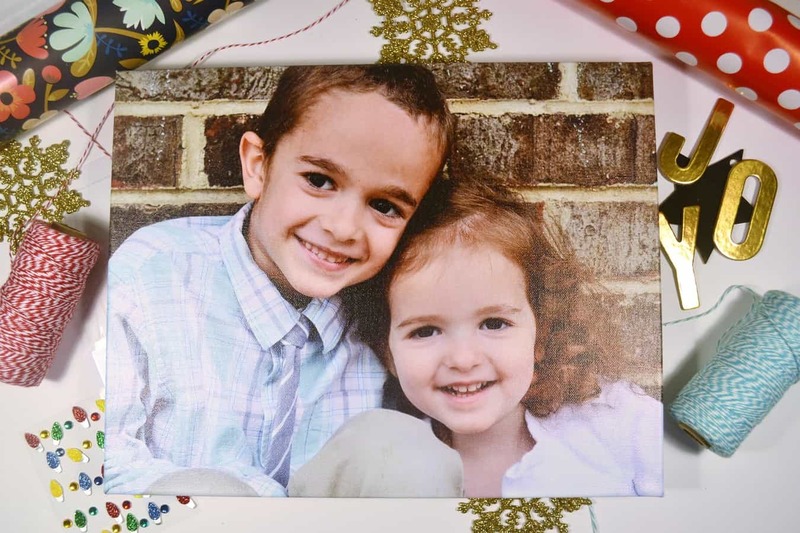 Walmart Photo offers so many personalized gift options–photo canvases are just the tip of the iceberg. I ordered my canvas online, but if you’re already in store, you can easily transfer images from your mobile device using the Fujifilm Kiosk Photo Transfer App or connecting with a cable at the kiosk. 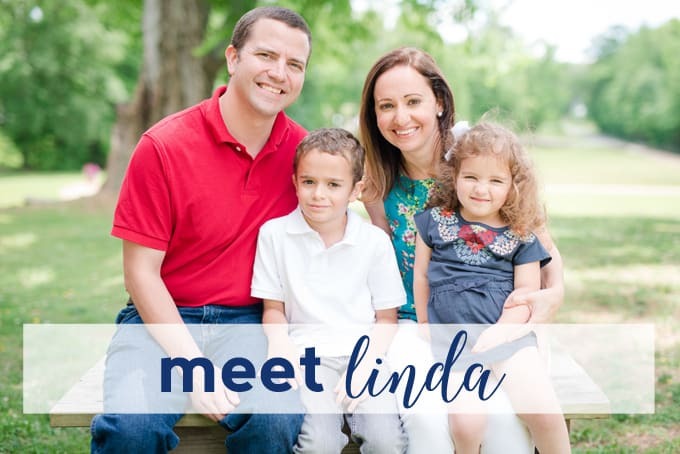 Want to win $50 towards your own photo gifts at Walmart? Leave a blog post comment below that includes the word #sweepstakes and share what gift you would create for someone this holiday season. Visit the Rafflecopter below to see how you could win! This is a sponsored post written by me on behalf of Walmart Photo. 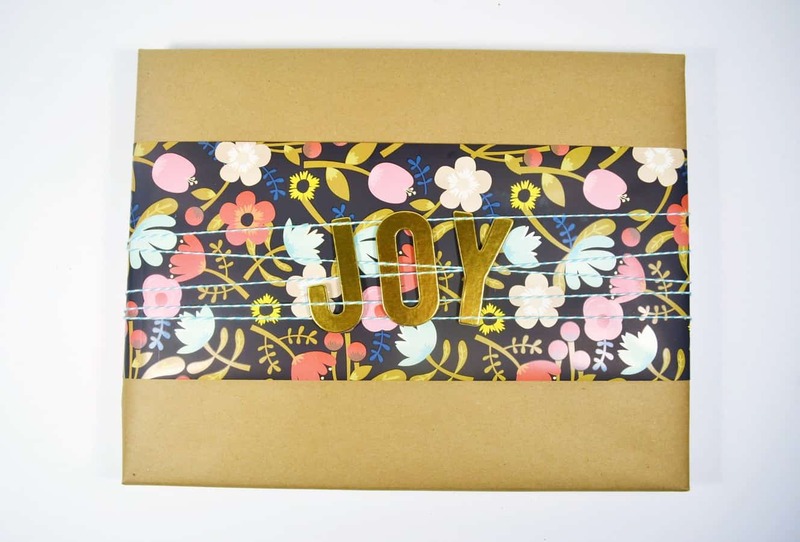 Love the twine and JOY! Of course I’m a Walmart shopper on a regular basis too. 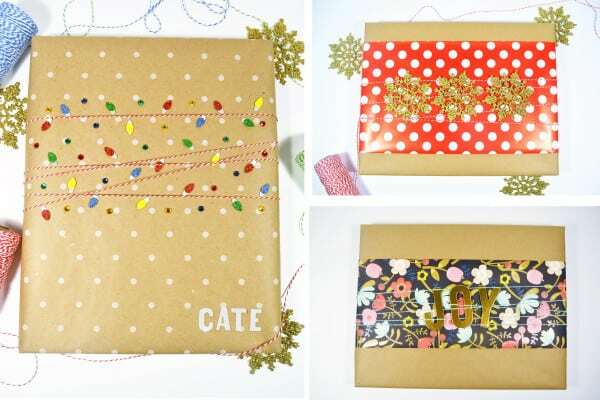 Such cute gift wrap ideas! I definitely need to look at Walmart for my holiday cards – love this! I would make a canvas prints for mom of her grandbabies. I would give Steve a photo book of our beagle. She is 15 and he would LOVE it! 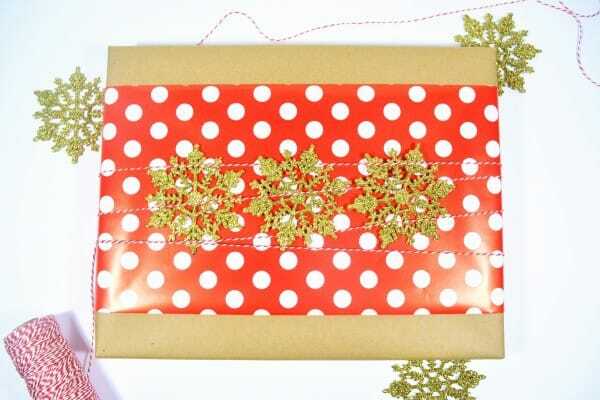 Your gift wrap is so fun Linda! I would make my mom a photo book of her grandson and have some large prints made up. Thanks for the chance!